However you voted in the June 2016 referendum, Brexit’s chaotic execution is proving exhausting. The situation changes so readily, that the latest Brexit news is old before you’ve even published the article you were writing about it. It’s enough to make anyone want to clamber into their pyjamas and stay in bed until all this has blown over. For start-ups and small businesses, however, the situation is particularly galling. Decisions made with confidence today could be ill-advised tomorrow, and long-term planning has been rendered pointless by the eternal uncertainty of people who should have the answers. At time of writing, Theresa May has managed to convince the EU to delay the Brexit deadline until Halloween, meaning months more uncertainty. Yet according to recent research from Sage and YouGov, although 66% of UK companies say Brexit will impact them, only 21% of small businesses have started adapting their business processes to prepare. Whatever outcome you hope for, and whatever you expect, you need to prepare. That’s why we’ve scoured authoritative online sources and spoken to business experts to create this essential Brexit survival guide for small businesses. 06 | What are small businesses saying? As a small business, talent is one of your most valuable resources. And the impact of Brexit on retaining and attracting EU nationals has been a huge concern for many. Under current law, employees and their families who have been UK residents for five years or more by 31 December 2020 will be able to apply for UK Settled Status. This grants them the same rights as British citizens, as well as the right to remain in this green and pleasant land, after Brexit. If you do not have 5 years’ continuous residence when you apply, you’ll be eligible for pre-settled status. You must have started living in the UK by 31 December 2020 (or by 12 April 2019 if the UK leaves the EU without a deal). You can then apply to change this to settled status once you’ve got 5 years’ continuous residence. The EU Settlement Scheme will open fully by 30 March 2019 and the deadline for applying will be 30 June 2021. In the event of a no-deal, the deadline would be 31 December 2020. They will also still be protected by existing employment regulations. Actions: Ensure any EU nationals in your workforce are aware of what steps they need to take to apply for Settled Status. If your business is heavily reliant on EU nationals, think about ways to boost staff retention. Find out more about applying for Settled Status on Gov.uk. Under the current Withdrawal Agreement, freedom of movement will end. This could make it much harder to secure talent from the EU. And with the UK already facing a skills shortage, especially for tech positions, businesses should get hiring or make plans to mitigate the impact of a more competitive recruitment environment. But what does that mean in practice? Make your company an attractive place to work. Have a think about what you offer employees that differentiates your business from rivals. And shout about it! The government has also announced a European Temporary Leave to Remain scheme for EU/EEA nationals arriving after Brexit in a no-deal scenario. This allows them to live, work, and study in the UK for up to 36 months. Actions: Define a clear policy for employing overseas workers, and for recruiting essential tech talent. Make your business an attractive place to work and show off why it is. Undoubtedly, businesses that rely on imports and exports stand to lose the most from a bad Brexit. UK exporters to the EU may be required to make customs declarations, with custom checks at borders potentially causing major delays. Because of this, you may want to discuss this scenario with international clients, and implement contingency plans in your supply chain. Likewise, new tariffs could be introduced that affect pricing and supply of goods, and cause confusion over who is responsible for shouldering the burden of rising costs… You could switch to a UK supplier to lessen the impact and uncertainty of this outcome. It may also be necessary to stockpile goods – if you have the space, or means to access more storage space. Perishable goods obviously aren’t suitable for long-term storage. Even if the UK and EU agree a zero-tariff trade agreement with the EU, UK businesses will have to prove their product is at least 50% locally sourced. David Miller, customs & AEO consultant and co-founder of The Customs People, urges businesses to start using Transitional Simplified Procedures (TSP). It’s free and allows goods to pass through customs quickly, then complete more detailed paperwork afterwards. 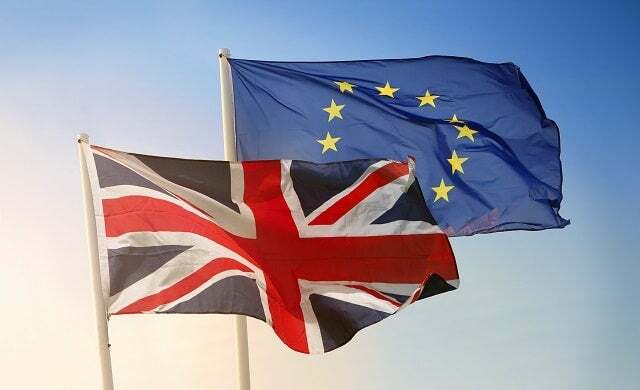 “I urge any business that is importing or exporting goods to the EU to consider this measure, alongside speaking to their suppliers about their own preparations, and considering steps such as Authorised Economic Operator (AEO) status. Actions: Conduct a thorough audit of your supply chain to identify any potential problem areas. Explore alternative plans and UK suppliers. You can register for TSP here. There are numerous potential impacts on access to capital: exchange rate volatility, reduced investor and consumer confidence, cash flow issues. The UK will also no longer be subject to EU Withholding Tax treaties. This is deducted from interest earned by EU residents on their investments made in another country, by the state in which the investment is held. Though there may be additional tax considerations and implications for transfer pricing. Barclays has just this week announced a £14.7bn lending fund for small and medium-sized enterprises to help them “through turbulent times as Brexit looms”. You can find out more about the fund and how to apply here. Finance will be available to start-ups with turnover of between £0-£25m. It’s part of a package of support that includes more than 100 Brexit clinics and seminars, designed to help businesses think about managing cash-flow and working capital, exporting goods abroad, labour, supply chain management, and other issues. Piers Linney, former Dragons’ Den investor and a non executive director of the government-owned British Business Bank, comments: “Research by the Scale Up Institute has highlighted that UK’s scale-ups already face challenges such as a growing skills shortage, the need to develop leadership skills, as well as access to finance and appropriate infrastructure. “Scale-ups are the engines of growth in developed economies with the potential to add billions of pounds and create hundreds of thousands of new jobs in the UK. Last year saw a 15% increase in scale ups in the UK. Limiting the free movement of labour and talent across the EU limits the size of the talent pool and the diversity of thought required for success in global markets. “UK SMEs have been able to access EU funding through the European Investment Fund (EIF) and the European Investment Bank (EIB), which lent €659m to UK SMEs in 2017. “Local Enterprise Partnerships (LEPs), have also been able to access funding from the European Regional Development Fund (ERDF) and European Social Fund (ESF) to invest in UK businesses. Actions: Assess your cashflow and capital requirements for the near future. Your financial services provider may be able to help you. Check if any payments of interest, royalties, or dividends may have withholding tax applied. Ecommerce and digital agency Visualsoft says many UK retailers are offering the option to pay in international currency, with 81% now giving the option pay in non-sterling alternatives – especially Euro and USD. The research also found that uptake of innovative payment methods such as Amazon pay and retail finance has seen a significant increase. Actions: Explore new payment options and the option to pay in alternative currencies. It could help you mitigate any post-Brexit financial hit by increasing sales. It’s nearly a year since GDPR came into force, and some whopping fines have already dished out. Google was hit with a record €50m penalty earlier this year after failing to gain consent for advert personalisation. While Carphone Warehouse and Uber were hit with less severe, but still unenviable, £400,000 and £385,000 fines in 2018 for security failures. Although it’s caused a lot of aggro for legal departments, and slashed email databases, it’s also left them much healthier. Your marketing efforts are actually going to people who want to hear from you, resulting in much better open and click-through rates. Jonathan Plummer, general manager of Electronic Manufacturing Solutions, points out that “GDPR offers a framework for building trust and being more transparent. It doesn’t stop companies working with personal data. It just allows them to redefine their relationships with customers, employees and suppliers. Nick Evans, chairman of ExtraMile Communications Ltd, agrees: “GDPR has done many small businesses a favour. It’s allowed you to focus on the people who actually gave you permission to talk to them – those people are like gold dust as they want to hear from you. Actions: Ensure your team are aware of GDPR legislation to avoid breaches and extreme financial penalties. Learn more about GDPR here. Tax, bleurgh! You don’t want to have to think about tax. But think you must. As it stands, VAT will remain the same unless there is no-deal. In this case, the UK will introduce postponed accounting, meaning there’s no need to pay VAT at the border. However, If you are based outside the UK and sell parcels to UK buyers worth £135 or less, you must pay import VAT. If your business holds stock in an EU country that it sells to EU customers, you’ll need to register for VAT in that country. EU VAT simplifications such as triangulation and distance selling will no longer apply in the UK, which could result in more registration and reporting obligations for UK businesses. UK firms may also have to appoint a fiscal representative in certain EU countries, to support with local VAT queries and filing. “To avoid paying duties unnecessarily, manage increasing costs and the new administrative burdens, start-ups must think ahead. “The first action is to register for an EORI (Economic Operator Registration and Identification) number, the unique identification number required to trade with the EU. You then need to ensure your business has the correct commodity codes and any export licences you need to trade. “You can then explore applying for tax reliefs. There are customs procedures which may provide relief from duty, for example use of or approval to operate a Customs Warehouse facility, Temporary Admission or Inward or Outward Processing Relief. The challenge is to establish if you’re eligible, but it’s essential to investigate. “Setting up an overseas subsidiary in the EU won’t always be necessary. You can still export and import without one and it’s not necessarily advantageous, in tax terms, to set one up. Actions: Check your software will be able to handle any new regulation, and whether abandoning EU regulations will affect how you do business on the continent. Get in touch with your accountant for the specifics of tax regulation post Brexit. We took the temperature of the UK’s small business community to find out how they’re feeling about Brexit. Mark Wright, Apprentice winner, and founder/ director of Climb Online, essentially advises start-ups not to worry. “Is there ever a good time to take a risk and start your own business? In all honesty, the answer is no. Starting your own business is tough, where you will need the grit, determination and tenacity to succeed. For most, it’s a long time before you start to reap the rewards, but it can be done if you remain disciplined. “Right now, the common denominator stopping a lot of new start-ups is Brexit, or rather the fear of Brexit. Everything seems to be on hold; people are waiting for something to happen, to find out whether Brexit will affect their chances of success and to be honest, many will be using it as an excuse to not even get out of the starting blocks. “My advice? If you have a good enough product or service that solves a problem for your target audience, you will succeed in Business. Brexit or no Brexit, Deal or No Deal, there are always going to be challenges when starting a business and building a brand, where it is only the Entrepreneurs and Business Owners who put in the work, and a lot of it, that will ultimately succeed. “A strong brand is much more than just a name and a logo; it’s a cumulation of your business’ achievements and personality. An effective brand makes business easier to manage– something doubly important in times of economic uncertainty. “Becoming a familiar brand takes time and Brexit is a very immediate threat, but that doesn’t mean you can’t sow the seeds now for long-term success in a post-Brexit world. Hughes also says it’s important not to “dream too big or too small”. Overall then, there are reasons to be cheerful, and whether you thrive or dive is largely up to you. Even if you can’t control the swirling chaos around you, you can patch up your ship and ride into the eye of the storm with confidence. And, whether Brexit was happening or not, you’d do well to heed much of the advice above. Carrying out an audit on your business strategy and building your brand is always good practice. Gov.uk has created a handy resource to help you prepare your business for leaving the EU. This comprehensive tools covers everything from personal data, intellectual property, and EU funding. As well as a regular Brexpod, the CBI is holding a webinar on the 4th of April, where expert presenters will discuss the latest Brexit news relating to businesses. You can sign up here. The Federation of Small Businesses (FSB) also has a raft of essential business advice for small businesses. The group has been championing the interests of UK small businesses since the referendum in 2016. As well as research, the FSB has engaged directly with key stakeholders in government including the prime minister. Read its Small Business Brexit Pack here.